According to the latest report from SamMobile, the Galaxy Note 6 from Samsung will likely feature the same IP68 rating for water and dust resistance as the Galaxy S7. This news should not come as too much of a shock, as water resistance appears to be quite popular among buyers of Samsung’s latest devices. More interestingly, though, intel dug up by another source, GalaxyClub, claims Samsung is working to include an iris scanner in the Galaxy Note 6, too. Let it be known, we have been discussing Samsung’s potential to place an iris scanner in the Galaxy lineup since the Galaxy S5 in 2013. Every new year, it seems that a rumor pops up about the inclusion of ocular-based identification technologies, and yet, nothing ever seems to come of it. However, intel suggests that Samsung’s R&D department recently received a large shipment of “IRIS CAM (Parts for Samsung Mobile),” leading some in the industry to assume they must be for the Galaxy Note 6. While the addition of an iris scanner would be quite fancy, we won’t hold our breath. 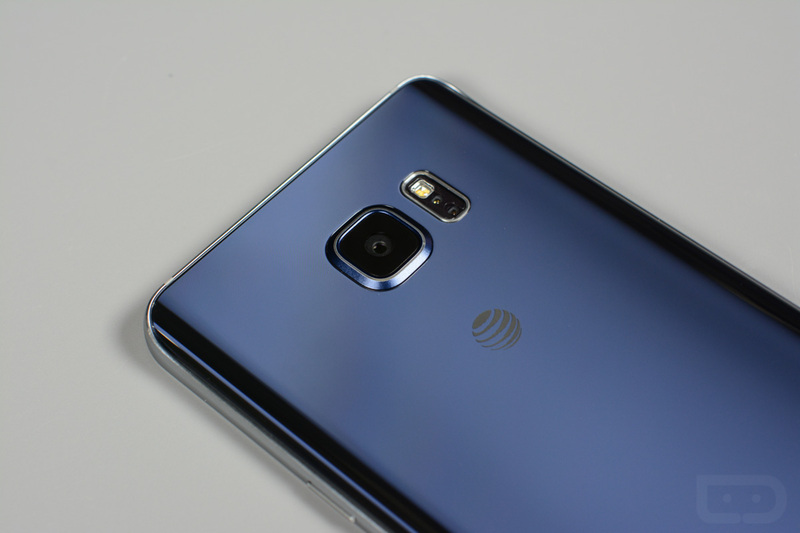 Additional details surrounding the Galaxy Note 6 are limited at this time, though, the device is reported to feature a 5.8″ display and potentially up to 6GB of RAM. Yes, 6GB. There is also a rumor floating around that claims we may see Android N shipped on the device, but that we find hard to believe if industry analysts are correct in predicting Samsung will announce the device in June of this year. While we are busy arguing on where OEMs should place fingerprint readers on our phones, Samsung is ready to bring out Minority Report-like tech in 2016. Are you ready for it? Poll: Where Should Fingerprint Readers be Placed? Front, Back, or Side?